In the majority opinion today in Shelby County v. Holder, the five conservative members of the Supreme Court continued their assault on remedies for racial discrimination. The Court held unconstitutional Section 4(b) of the Voting Rights Act, which is the formula for determining which jurisdictions are required to seek advance approval of voting changes pursuant to Section 5 of the Act. Section 5, first enacted in 1965, has been widely praised as the single most effective civil rights law. The coverage formula captured primarily the states of the Deep South where minority voters had been brutally and effectively denied the franchise since Reconstruction. It subjected covered jurisdictions to a requirement that they prove to the Attorney General or a three-judge federal court that proposed election changes would not have the purpose or effect of discriminating on the basis of race. The law was first enacted in 1965 and reauthorized in 1970, 1975, 1982, and 2006. In 2006, Congress held numerous hearings and compiled a massive legislative record supporting reauthorization. It showed that there had been improvement in some aspects of voting, but that discrimination persisted in ever evolving forms. Congress made the judgment that lifting Section 5 would be premature and would likely leave Section 5’s job unfinished. With stunning arrogance, the Court’s conservative majority dismissed the efforts of Congress, moving Justice Ginsburg to say in dissent: “Hubris is a fit word for today’s demolition of the VRA.” The majority barely engaged with the massive record Congress developed, instead picking out selected facts to support its conclusion that conditions had changed sufficiently that Section 5 could no longer be tolerated. The majority’s decision registers disdain for the power of Congress. 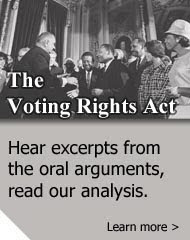 The Voting Rights Act was enacted pursuant to the Fourteenth and Fifteenth Amendments. The Fifteenth Amendment prohibits discrimination in voting on account of race and states: “The Congress shall have power to enforce this article by appropriate legislation.” The Fourteenth Amendment similarly empowers Congress. In passing legislation to protect the right to vote against racial discrimination, Congress acted at the height of its powers. Yet, the majority ran full tilt over Congress in its rush to strike down the law. It substituted its judgment for that of Congress, unfazed that Congress had reauthorized the statute by a unanimous vote in the Senate and an overwhelming vote in the House. In doing so, it seemed to elevate a previously non-existent notion of the “equal sovereignty” of the states over the rights of individual minority voters, who had long been the victims of state action. 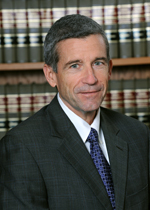 The Court had previously rejected the applicability of the doctrine to Section 5 when it first upheld the law in 1966. By striking down only Section 4(b) and leaving the preclearance requirement of Section 5 in place, the Court largely gutted Section 5, but explicitly left open the possibility that Congress could enact a new coverage formula. Given the difficulty the current Congress has in passing major legislation, the Court’s opponents of the law may have felt safe making their offer, and instant commentators have been quick to note the difficulty of passing such legislation. Yet, there are strong reasons for Congress to respond with a bipartisan enactment. First, protecting the right of all eligible people to vote should and must be a priority for members of both parties. Second, Republicans and Democrats should be concerned about the slap in the face that the Court delivered to Congress. It is incumbent on Congress to step up and reassert its authority to make law. Finally, we are now seeing in the movement of the immigration bill that bipartisan action in the Senate is still possible when both parties perceive that it is in their interest. Many in the Republican Party understand that they cannot continue to be seen as the party that opposes the interests of Latino and other minority voters if the party hopes to remain competitive. That same instinct should lead some to support a bipartisan effort to fill the gaping hole that the Supreme Court blew in our voting rights laws. 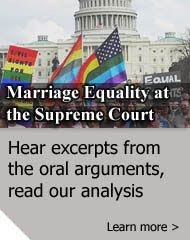 --AFJ Audio Analysis, with excerpts from the oral arguments. I think current conditions make it VERY clear that the act is needed now as much as it ever was.